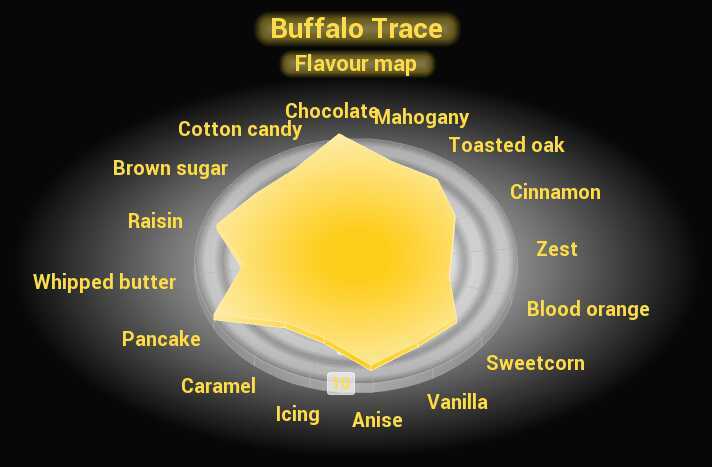 Buffalo Trace is a bourbon produced in Kentucky, United States, by the Buffalo Trace distillery. This bourbon is light and fresh, which makes it perfect for sipping to the sound of BB King after a hard day or AC/DC after an easy one! Did you think I was going to suggest bluegrass music? Jazz it up with some cola if you must, but this sensationally smooth bourbon is just perfect neat… perhaps with some flapjacks and vanilla ice cream on the side. This beauty definitely makes it into my “top whisky” list. To read more about bourbon and American whiskey, please see my page on American whiskey. 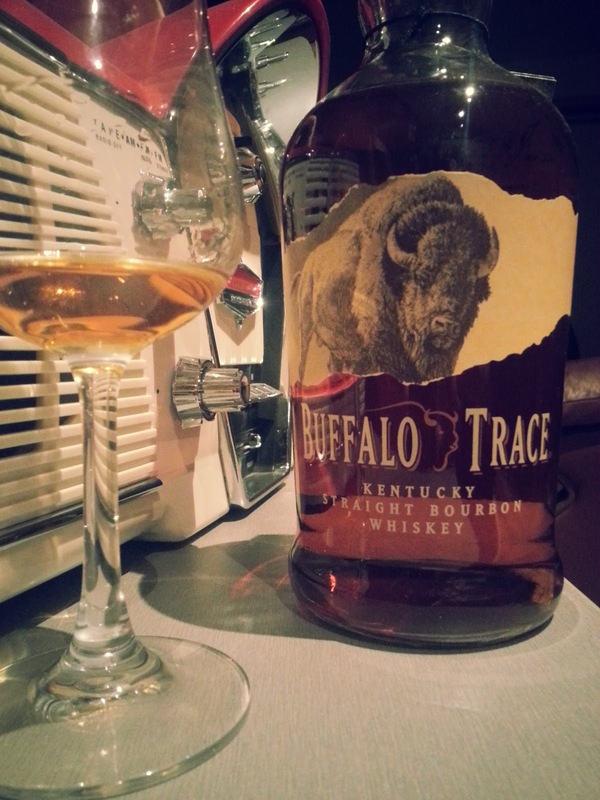 Buffalo Trace Bourbon was awarded a “double gold” at the 2012 San Francisco World Spirits Competition, which shows that my appreciation for this bourbon is shared. 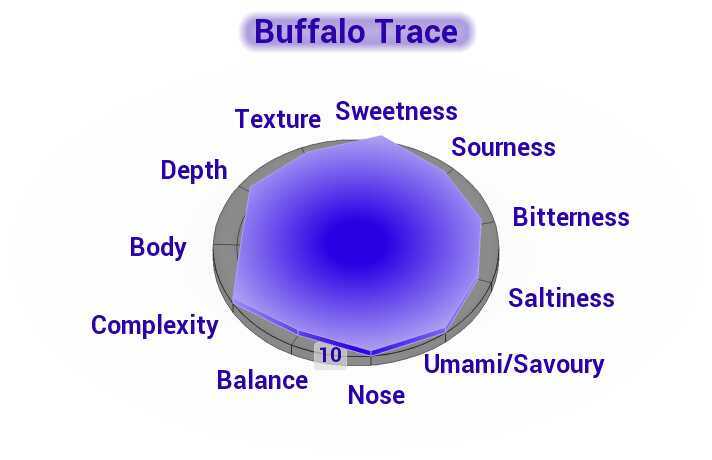 Buffalo Trace has almost perfect balance, as its diverse flavours softly massage the tongue. It is a very complex bourbon, with lots of bitter wood notes and sour fruit moderating the sweet sugary theme. Soft whiffs of brown sugar strike the nose as hints of vanilla and grain add complexity and depth together with some raisin and anise. The gentle breeze sways in the glass, filling it with complex aromas. The theme of brown sugar and maple syrup carries flashes of bitter as the subtle glow of cotton candy and mahogany add some interesting character. All the while toasted oak delivers bitterness, as sparks of spicy cinnamon enliven the performance with gusts of zest. All the while the sweetcorn pops with energy as it is coated with vanilla and dashes of blood orange. Throughout the experience the tongue seems coated with whipped butter and icing, as the bite of buttermilk pancake and sticky caramel occasionally deliver a different texture. I could be here for an hour! The finish on this bourbon is light but very enjoyable, lasting a decent while as the mouth salivates for more.